For those of us in the northern hemisphere, spring has begun. Mother Nature, in her impish pleasure, takes us for a weather roller-coaster ride at this time of year. It feels like a moment of new beginnings, with buds and flowers springing up everywhere; new life is forming all around us. In tarot, this is the time of The Fool. The Fool card represents beginnings, innocence, spontaneity, and free spirits. The number is zero, which is the number of unlimited potential. 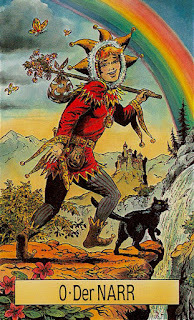 In most tarot decks, the fool is represented as someone at the start of a journey. Adventure is on the horizon, and this person is filled with the wonder and excitement of what’s to come. The fool is all about creativity, and a desire to work on new goals. This is the time of year when we feel the Fool’s energy the most. We want to set forth on a new journey into uncharted territory, taking that leap of faith toward personal growth, development, and adventure. 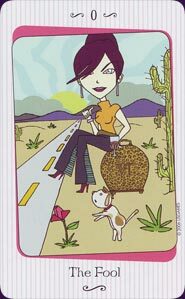 The Fool card highly encourages this, and asks you to trust in the Universe, God(s/esses), Yourself, etc.. in a carefree manner. Follow the Fool’s lead and keep your mind free from worry and anxiety. The Fool doesn’t care if he/she doesn’t really know what lies ahead. The Fool lives in the moment, and there is wisdom in that kind of thinking. 1. There's a potion that can make you shrink. 2. And a cake that can make you grow. 5. 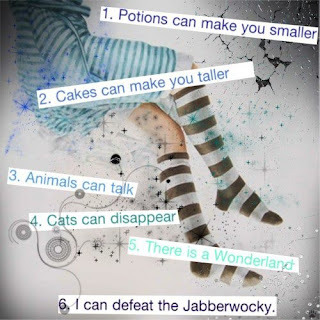 There is a place called Wonderland. 6. I can slay the Jabberwocky. By taking the Fool's Journey of wonder and belief in herself, Alice regained her "muchness." Take some time on this April Fool’s Day to honor your own fool-within. This is a person who is healthy, whole, and without anxiety. This is the spirit of who you truly are, expressed as wonder, awe, curiosity, and anticipation. This is the essence of inspiration and freedom. Celebrate your own 6 impossible things, and regain the muchness of your "foolish" self. 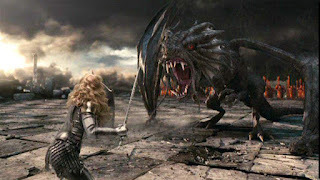 Kallan Kennedy is a wild witch and wanton writer from Irish/Greek (Celtic) origins living in Northeastern Maryland, USA. She holds a degree in Religion and Philosophy, and is working on degrees in English and History. She is both an ordained minister and a U.S. Navy veteran. When she isn't hanging out with her family or playing in the woods, she is seeking inspiration, writing, reading, and tending to her wolf-dog, Lakota.